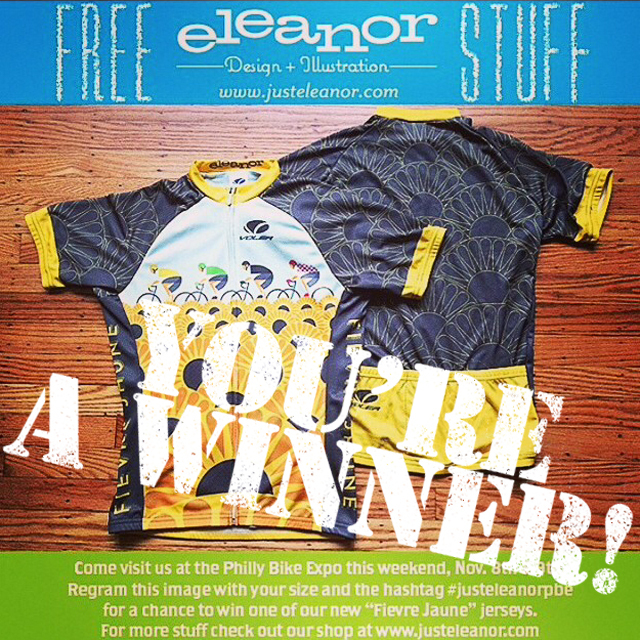 Last month we were running a bike jersey raffle on Instagram and then decided to offer the same raffle to people that visited us at the Philly Bike Expo. I’d like to congratulate @bikesbikesbaby and Kevin Lau. They’ve both won their very own Sunflowers jersey. Thanks for taking part. This entry was posted in Uncategorized and tagged contest winners, free stuff on 12/01/2014 by admin.